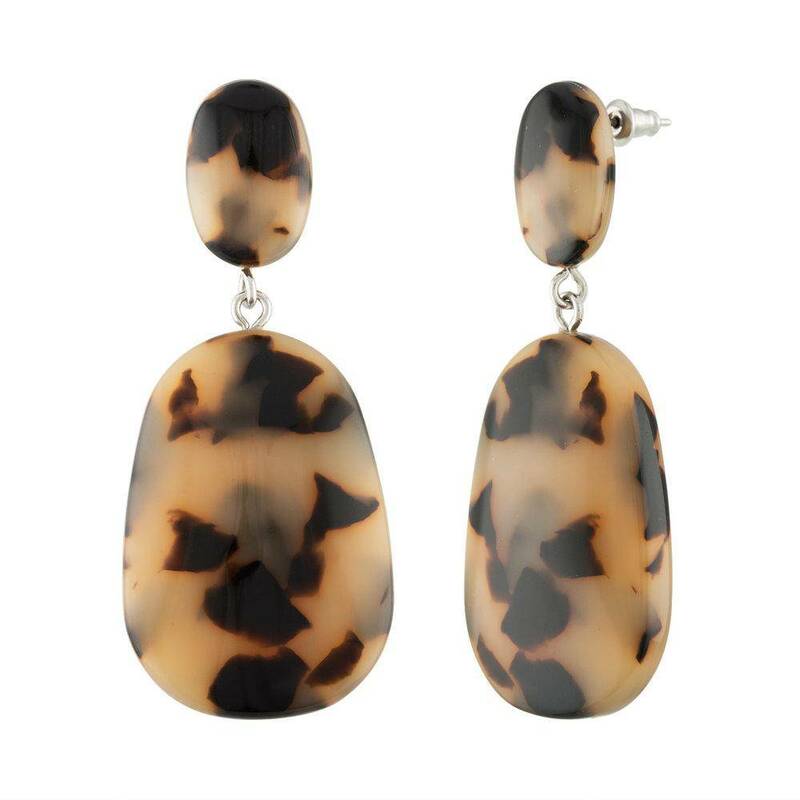 Sophisticated & playful patterns adorn our Grande Drop earrings. 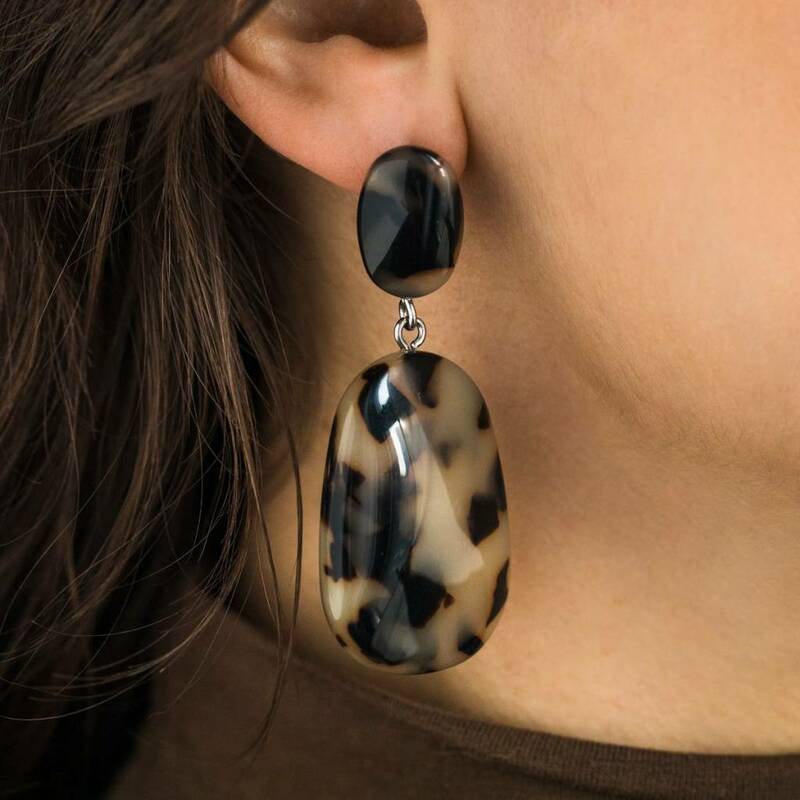 Model is wearing the Grande Drop earrings in Calico. The Machete jewelry label was established in 2017, designed by Jennifer J. Matchett. Machete jewelry is a line of eco-conscious, affordable jewelry for everyday wear. All materials used are Italian imported, high grade, cellulose acetates. Importantly, Machete jewelry is ecologically friendly, and does not support unfair labor practices. Machete has been featured on Vogue.com and throughout publications worldwide. All of their earring posts are made from hypoallergenic stainless steel, sterling silver, or 14k gold. Jennifer J Matchett graduated with a degree in Art History. She currently lives in the Atlanta area.